At the end of our Term 1 we shared our Inquiries into Citizenship. We followed the Inquiry Process to get to the communicate stage and we were excited to share what we had found! Presentations ranged from speeches about the roles of City Councillor to a presentation outlining how Steven Adams gives back to New Zealand to why you need to be a Digital Citizen. Kids communicated their Inquiries in a variety of ways (multimodality at its best! ), including slide presentations, speeches, iMovies, and songs. In Week 10 we had 13 COLAB kids go to the Regional RIPPA Rugby Tournament at The Arena. There were 32 teams competing for the trophy. 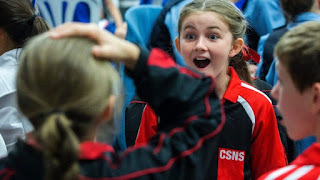 CSNS had two team, CSNS Black and CSNS White. After the round robin Pool stage both of our teams made the Quarterfinals. CSNS White lost a close quarterfinal to Colyton but can be proud of their performances! CSNS Black won their quarterfinal against Somerset and beat Colyton in the semifinal to make the final against Riverdale School. The final was close to begin with but as the game went on CSNS Black ran away with it to win 9-3! 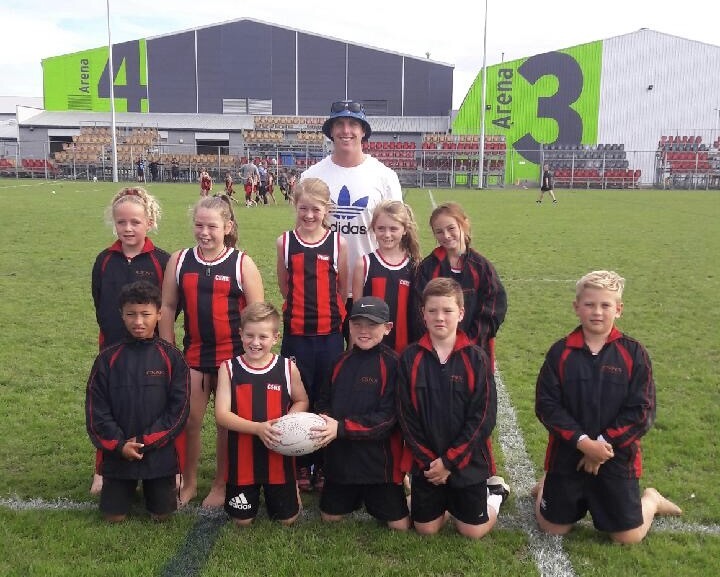 They will go to Wellington to compete at the National RIPPA Rugby Tournament. CSNS Black relaxing after a game. CSNS White getting their pose on for a photo. This year College Street competed for the first time ever in the Manawatu Kids’ Lit Quiz Heats. 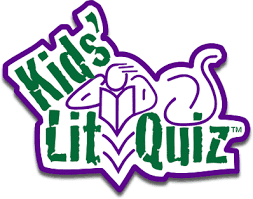 Kids from schools all across the Manawatu competed to answer the questions. In the bonus question round, they even gave out Whitcoulls vouchers, Stationery packs and $5.00 notes. College Street A and College Street B tied, but still had to fight to the death to win the title of the best Year 6 team with a question about The Boy in the Striped Pyjamas. College Street B answered the question quickly and correctly so they got rewarded four books. Congratulations to Palmerston North Intermediate Normal A and B, who got 2nd and 3rd. 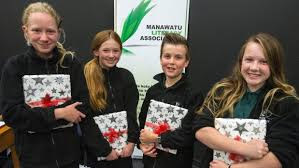 But the big winners of the day were Ross Intermediate, who took home the title of the Manawatu champions, as well as a copy each of 1001 Questions & Answers About Absolutely Everything and they get to go to The Nationals down in Wellington! Fingers crossed they go to the Internationals in Toronto, Canada. (Left) Ana Faville, Krissie Beardsley, Jake Cook and Carly Atkin (team captain). They also got a $160 cheque to spend on books and flights to Wellington. We had an amazing day at the Lido for our swimming sports. It was a really fun day. Congratulations to everyone who gave it a go. 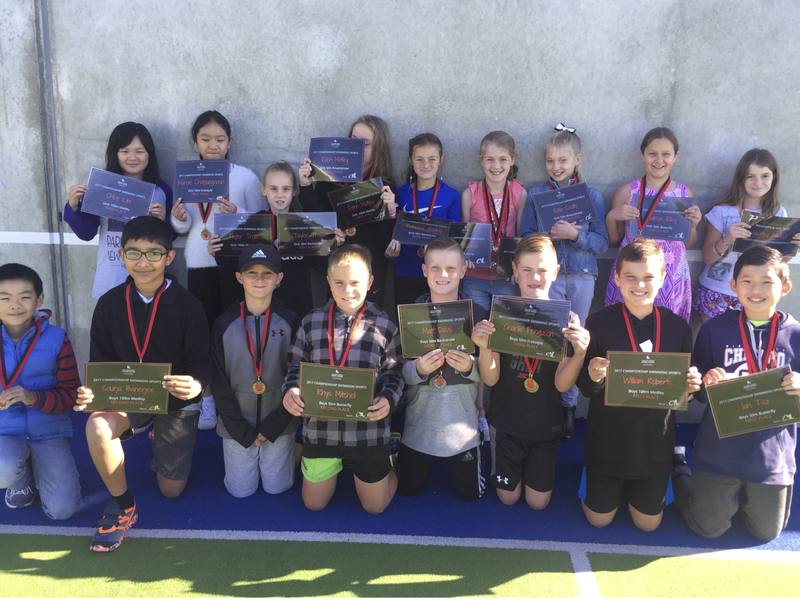 We had some COLAB kids who had some fantastic results in the Championship events. 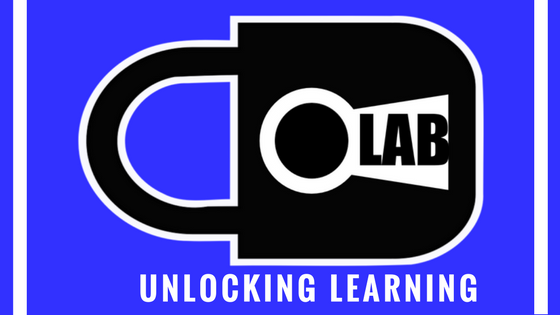 Congratulations to our Colab Medal winners.